John Nassari is proud to present the latest arrival from Nassari Film, Turnberry Luxury Wedding Shoot Scotland. Romantic views over slate blue seas and distant mountains. An iconic lighthouse. Created in the grand style in the early years of the 20th century, The Turnberry is one of Scotland’s national treasures. As you approach the resort, the miles of glorious west coast of Scotland give way to the familiar soft green of the world famous golf courses, swiftly followed by your first glimpse of the unmistakable red roofs of this Edwardian era hotel. True to its history, the pace of life here is unhurried. Welcoming staff greet travellers with traditional Scottish hospitality and quiet but attentive service. John had the pleasure to work alongside some of the industry’s finest suppliers in creating and capturing a unique Wedding Showcase for this beautiful hotel. 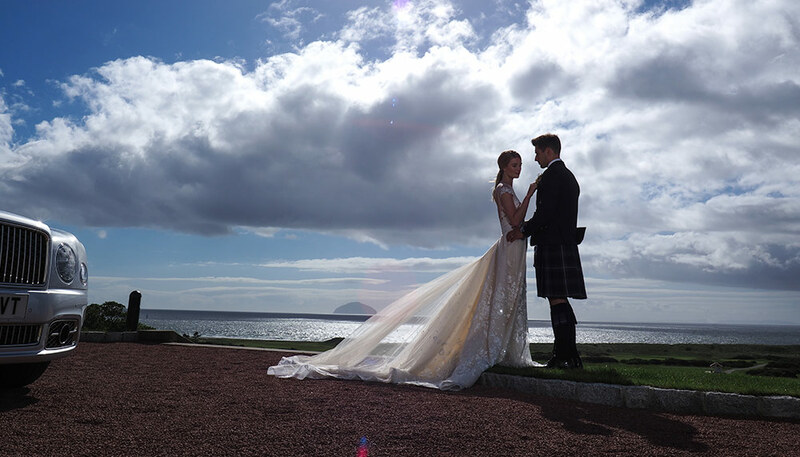 With an unrivalled location in the most stunning surroundings, it’s no wonder that the Turnberry is said to be the No.1 Wedding Venue in the UK.